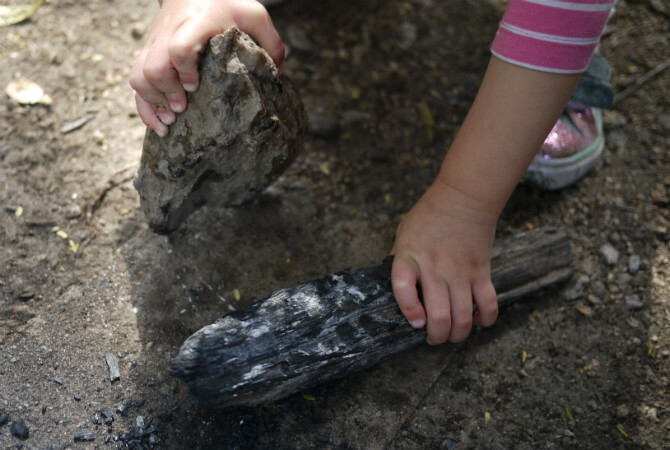 When we first began running forest school sessions there was (understandably!) a fair bit of concern from our families surrounding our inclusion of real tools in our outdoor program. Over time, however, this attitude has completely turned around and now our parents are not only comfortable with the use, but big advocates of the benefits if offers their children. 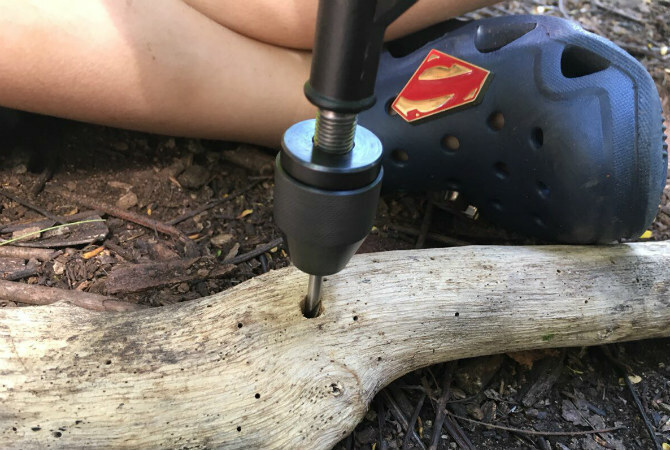 Tools are a pretty stock-standard practice with forest schooling which originated in Denmark and where the children have always had real tools such as knives for whittling to enable them to create and make. When asking the children to use only the sticks and the leaves that they find to play with, children’s natural tendency is to MAKE – they are creative and artistic beings after all. Having tools provides children with the opportunity to bring their ideas to life, but, more than that, it’s an opportunity to create in a way they would usually not have the ability to in their classrooms. The added element of risk and novelty makes it an exciting and alluring task for children too – it’s one of the many aspects of attending forest school that makes it oh-so-special for our young ones. 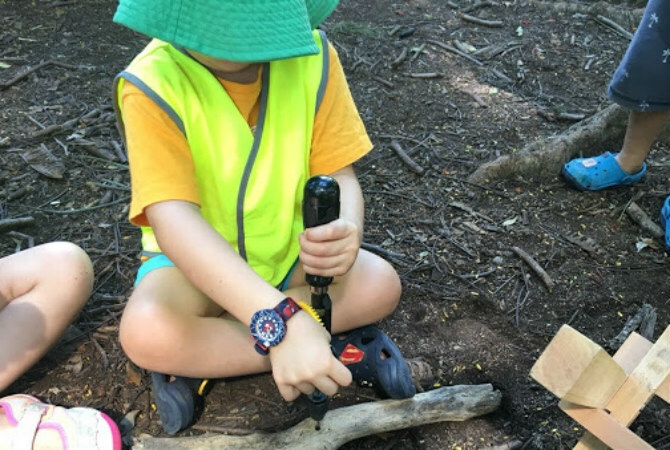 Aside from finding the tools intriguing, they offer the children the chance to successfully master a new skill that has a tangible achievable outcome – they can drill a hole in timber to put string through and make a necklace or saw off a wooden disk to use as a bag tag or toy. The greatest benefit these tools offer children are being able to make or build something independently, which feeds right into their sense of self and self-confidence. “I did it all by myself!” is one of the most common catchphrases of our forest school days and this is why. But HOW to use tools safely with small children? It all comes down to policies, procedures and management. As with any experience that has an element of risk and challenge, the focus is on managing and minimising risk while optimising children’s ability to build skills and independence while taking ownership of the challenge themselves. Children’s ability to assess risk and manage this themselves grows and develops the more they have access to opportunities to practice these skills and when we arm them with specific procedures/information they can follow, the risk assessment and learning is in their hands to manage and they are able to take responsibility for their learning. This is as simple as explaining to children what the procedures are for tool use and having them demonstrate it before handing them a tool. 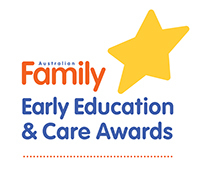 For example – when using our drills, the children know to sit down with their legs crossed, place their timber on the floor and then drill into it while it stays on the ground, the procedures are similar for sawing (sitting cross-legged on one side of the sawhorse – one hand in their lap and the other on the handle) and whittling (feet flat on ground, knees up, elbows on knees, peel away from body). 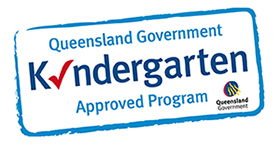 We have found over time that these experiences are simply not scary or risky as long as the children are aware of the procedures and as long as the supervising adults are watching so that if a child is not following the procedure, they can just be reminded of it. There is no use for the words risky or dangerous or to remind children to “be careful” because all communication centres solely around the specific techniques the children are using.